As the entry-level APS-C model in the range the Nikon D3200 has a surprisingly upmarket capability with a high-grade sensor, one that is potentially similar in performance as the firm’s high-end D7100. Like that model it has a 24-Mpix APS-C size CMOS with a wide sensitivity (from ISO 200-12,800 with expansion). It’s capable of stills up 4fps and Full HD video capture for NTSC/PAL regions at 30/25 fps and there is also a movie inspired 24 fps option as well. However, with the exception of the aging 12-Mpix D300s, the D3200 stands out now (after the announcement of the new D5300) as the only APS-C model in the firm’s range to feature an anti-aliasing filter over the sensor; handy for budding filmmakers but potentially limiting the sharpness of the lens and sensor combination. 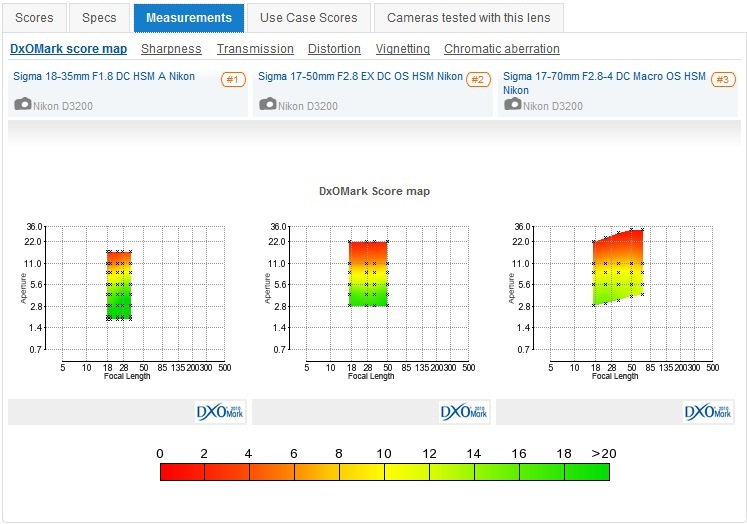 With this in mind our labs have evaluated the optical quality of over 140 different lenses on the camera from both Nikon and third-party makers. We’ve analyzed over 83 zooms in total, recently adding two new models from Sigma, the new high-speed 18-35mm f1.8 DC HSM standard and the professional-oriented APO 120-300mm f2.8 EX DG OS HSM. Out of the remaining 63 primes, we’ve had the opportunity to include the new premium high speed Nikon AF-S Nikkor 58mm f1.4G as well as well as the new Zeiss Otus 1,4/55 though at $4,000 this and some of the more recently analyzed lenses are at odds with the intended market of the Nikon D3200. However at just $499 (complete with 18-55mm kit lens) this camera may also appeal to advanced users. Not only does it have a sensor with a high pixel density in a small form factor, it also has an optical viewfinder and phase-detection AF (the same AF module from the earlier Nikon D7000). 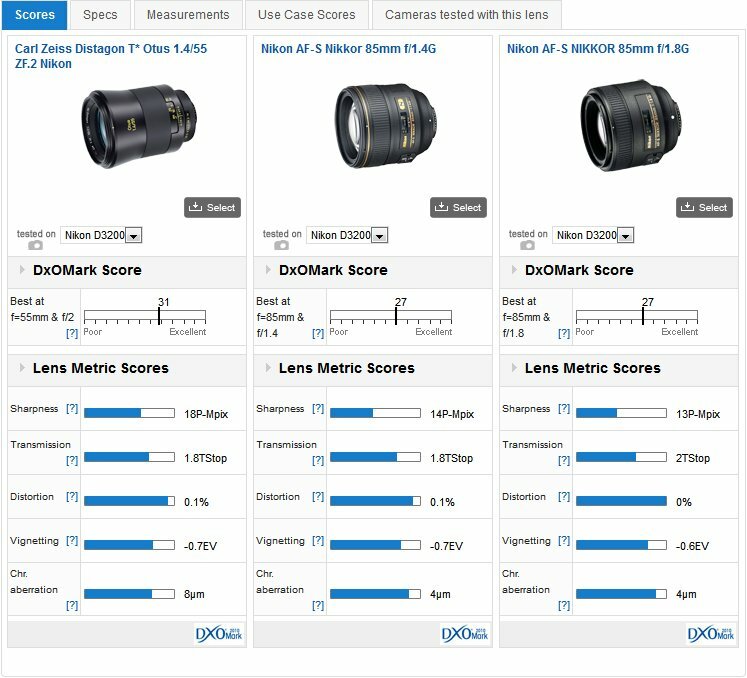 As the recent best performing lens in our database when analyzed on the Nikon D800 it is unsurprising perhaps to see the new $4,000 Zeiss Otus 1,4/55 sitting in the number one position on the D3200. As the equivalent to a 85mm on the D3200 (or any APS-C camera), the Zeiss Otus 1,4/55 looks attractive but the large size (around the same as the firm’s Apo Sonnar 2/135 (135mm f2)) and huge price mean it’s not for everyone. It’s also manual focus only. In second place is the Art-series autofocus Sigma 35mm f1.4 DG HSM model, closely followed by the Zeiss Apo Sonnar 2/135 (135mm f2.0). It has the highest peak sharpness of 19-Mpix on the D3200, slightly higher even than the Otus. As a 210mm equivalent it would be promising for theatre and stage performances, but with no autofocus option it may be challenging for sports or action photography. Nikon’s AF-S DX Nikkor 35mm f1.8 model stands out for value. At $195 it’s modestly priced and yet achieves a good DxOMark score, though peak sharpness is behind the Sigma 30mm f1.4 DC HSM A offering at $499. As we’ve seen with the primes, the high pixel count of the D3200 means it’s capable of extracting a lot detail from high-grade lenses and that’s replicated with some of the better quality zooms. Third-party maker Sigma continues to do well with their newer upgraded models. 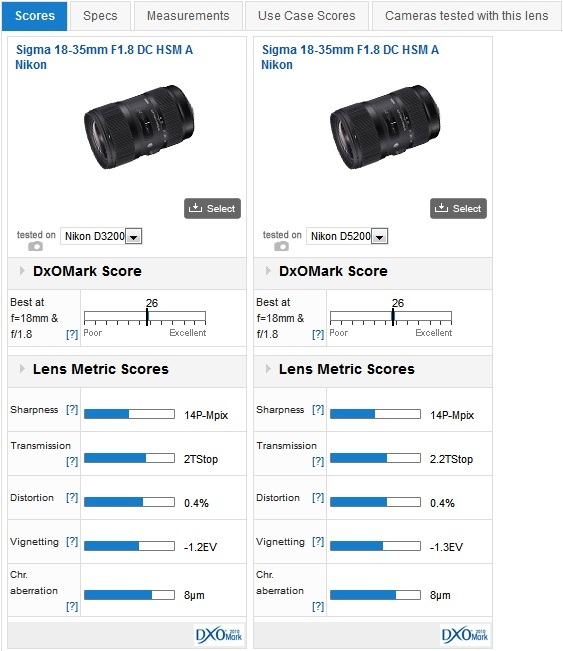 Made for APS-C cameras only, the high-speed 18-35mm f1.8 is in first place followed by the 50-150mm f2.8 EX DC APO OS HSM with an excellent peak sharpness score of 16P-Mpix. Narrowly missing second place Nikon’s own 70-200mm f2.8 follows in third place with a good overall DxOMark score and a very good peak sharpness score of 14P-Mpix. Value options include the stabilized, high-speed Sigma 17-50mm f2.8 EX DC OS HSM at $669 with a very high 12P-Mpix peak sharpness. With a more modest 9P-Mpix peak sharpness score, the Sigma 17-70mm f2.8-4 DC Macro OS HSM could be another contender at $499. Sigma has the best performing standard zoom in our database, but it also some modestly priced alternatives, including the stabilized 17-50mm f2.8 which performs well. 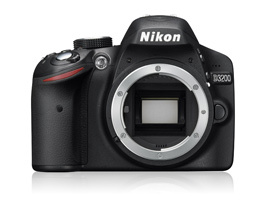 We thought we would compare the entry-level D3200 with the D5200. Both share the same 24-Mpix sensors but they’re sourced from to different vendors. 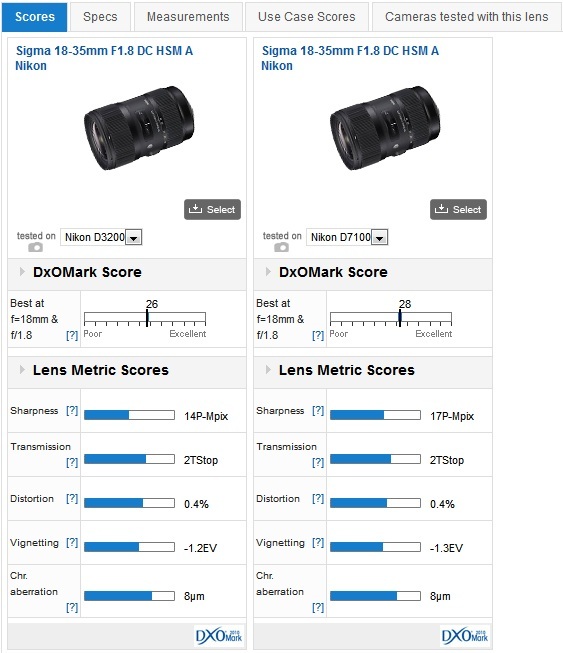 Both feature anti-aliasing (AA) filters and unsurprisingly perhaps, when analyzed using the Sigma 18-35mm f1.8, sharpness was effectively the same, measured as 14P-Mpix on both. While we’ve yet to analyze the Nikon D5300, we have had the opportunity to compare the D3200 with the Nikon D7100, a camera with a similar pixel count and lacking an AA filter as the D5300. 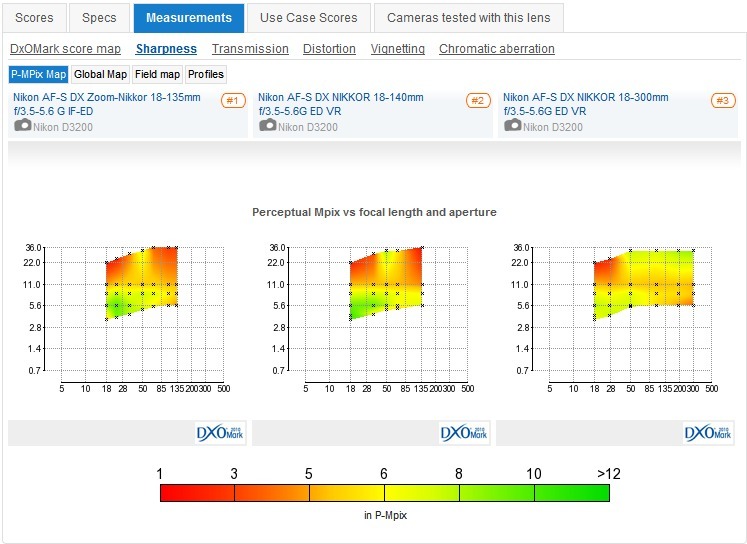 When mounted with the same lens, the D7100 achieved a higher peak sharpness value of 17P-Mpix, suggesting an increase of up to 3P-Mpix (around 20%) may be possible by removing the AA filter with this sensor and lens. Note that the removal of the AA filter in these cameras may result in unwelcome moiré or color artifacts in stills and, potentially, in video as well, where it’s much more difficult and time consuming to remove. If you’re a beginner, there’s no shortage of zooms for APS-C format cameras, and those made specifically for that size of sensor are often relatively compact in size and offer a good balance between convenience, price and image quality. Modestly priced models with the widest zoom range are usually the most compromised in IQ, however there are those that can buck the trend. Both the Nikon AF-S DX Nikkor 18-135mm f3.5-5.6G IF-ED and the newer version, the stabilized 18-140mm f3.5-5.6G ED VR are very good performers. Both sit in joint first place of those sampled with a DxOMark score 13 points and a 9P-Mpix peak sharpness score. In second place is the upgraded 80-400mm f4.5-5.6G ED VR, a full frame specialist lens but nevertheless a promising addition for anyone interested in wildlife though in truth better matched with the D7100 or D300s. In third place, at $999, the flexibility of the stabilized Nikon AF-S DX Nikkor 18-300mm f3.5-5.6G ED VR can’t be denied and it performs very well overall. All three are better performers at the shorter end, but the 18-300mm is a good performer, given the convenience on offer. For the intended market the Zeiss Otus 1,4/55 will be too rich but with a high quality 24-Mpix sensor, the D3200 could easily appeal to imaging pros for certain applications, where a small body is required. Intriguingly, both the full-frame Otus 1,4/55 and Nikon’s new AF-S Nikkor 58mm f1.4G have an field of view equivalent to a 85/90mm lens on the D3200, whereas the standard 50mm is the equivalent to a 75mm and is often considered a little short for portraits. Full-frame 85mm lenses, on the other hand, have a similar field of view to a 130mm and with an f1.4 or 1.8 maximum aperture are very attractive options for indoor sports or in the theatre, where ambient light levels may be low. Although still a relatively large lens, the Nikon AF-S Nikkor 85mm f1.8G performs very well on the D3200 with sharpness levels almost on a par with the far pricier f1.4 version. And, it’s sharp from the initial aperture. A more affordable alternative is the Samyang 85mm f1.4 at $328. It has similar sharpness at full aperture to the Nikon f1.4 model but it lacks autofocus. Fortunately, this Nikon mount model is aperture coupled and has CPU contacts for compatibility with various exposure modes. If you have a Nikon D3200 and a favorite lens, we would very much like to hear from you. Please leave a comment below, stating what lens it is and why you like it.